COME and join us in one of the most beautiful places in Britain. 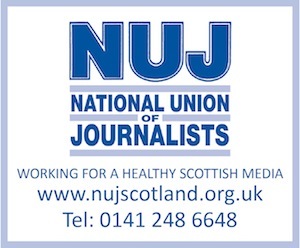 The Press and Journal, the award-winning quality daily in Scotland and one of the biggest-selling regional papers in the UK, is seeking a DISTRICT REPORTER for our Highlands edition. Based in Fort William, in the Lochaber area, the quality of life is second to none – it brands itself as ‘the outdoor capital of the UK”’ and it is easy to see why: Ben Nevis and Glencoe are on the doorstep and ski-ing, sailing, walking and mountaineering opportunities abound. But this is not some sleepy backwater – the Highlands is one of our newsiest patches and this job demands a well-motivated and confident journalist who can quickly build contacts in the community, dig up great exclusives and mop up every angle when a big story breaks. The P&J publishes six editions, six days a week, based on top-notch local coverage of issues relevant to our readership. You will be reporting to the Highland news editor in our Inverness office. Ideally, the successful candidate will have relevant experience. Closing date for applications is May 29, 2015.